Vision boards are not a new concept by any means. People have been creating vision boards for many decades, working to manifest their dreams or simply as a way to work towards a specified goal. In a way, a vision board is a storyboard for our desired lives. I have engaged in creating my own vision boards over my lifetime at various retreats and workshops and also on my own after watching “The Secret”. My vision boards have changed over time depending on where I am at in my life as they are typically reflective of my current goals and trajectory. I am sure if I pulled out my old vision boards, there would be a few things that remain consistent, but plenty of pieces would no longer be relevant – because we change. The last vision board I completed was probably 6 or 7 years ago. I remember doing one that was full of beautiful images of photography studios and women’s portraits, because at the time I was engaged in creating a successful photography business. However, the goals I had then are not aligned with the goals I have now – at least at the moment. I had the opportunity this fall to create a vision board at an adult camp that I attended, but declined to do so. It was not really the craft that I had hoped for and did not feel pulled to create one. I went to the crafting station and rifled through the magazines, but I did not feel a strong attraction to any of the images. A lot of the magazines were already cut up and decimated. It almost felt like the activity was put together last minute to fill a void in the schedule rather than a true vision board activity. Or perhaps it was just my mindset at the moment and I was unable to fully embrace the activity due to my own lack of self confidence and skepticism. Honestly, it was probably the latter. 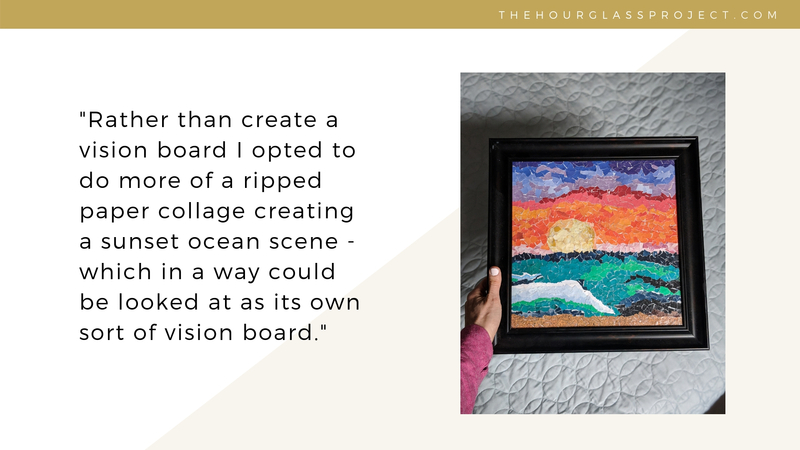 Rather than create a vision board I opted to do more of a ripped paper collage creating a sunset ocean scene – which in a way could be looked at as its own sort of vision board. I was seeking peace, serenity, and surrender. A sunset can represent a vision of closing chapters and moving on – which was what I was in the process of doing. The same image could also be viewed as a sunrise, which can be representative of new beginnings. Either way, the activity was peaceful and enjoyable, but it got me to wondering why I had shunned the vision board activity. When returning home from the weekend away, I noticed the growing stack of magazines in my home. I held onto these magazines for a long time, despite never truly sitting down to read them. It worked against my desire to declutter, so I decided to make it an active project to read through them and remove them from our home. In the process I noticed myself pulling out images that spoke to me. Over the last few months I have been able to read through the entire stack of magazines, but I was left with a huge folder of ripped out pages and no real plan of what to do with them. I decided to make a vision board. 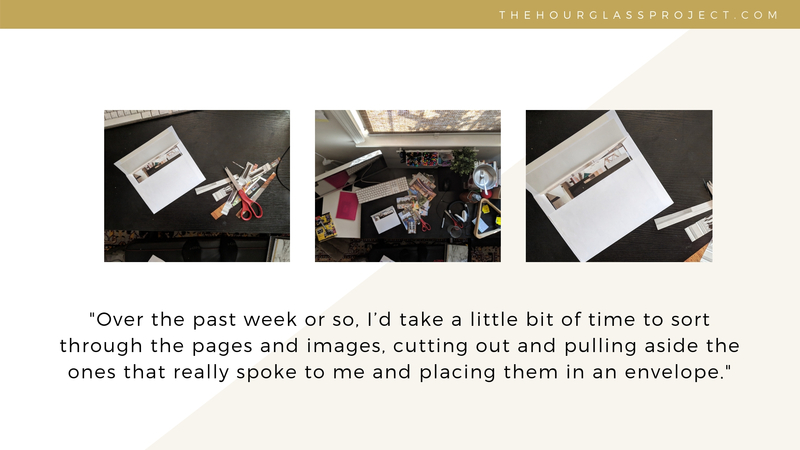 Over the past week or so, I’d take a little bit of time to sort through the pages and images, cutting out and pulling aside the ones that really spoke to me and placing them in an envelope. I was intentional about the ones I saved, releasing all others into the recycling bin. I had a large picture frame that used to house a family portrait until the glass broke. I decided that it would be the perfect host for the vision board. Yesterday I completed the culling process and sat down on my floor, spread out the pictures, and started to create my vision board. 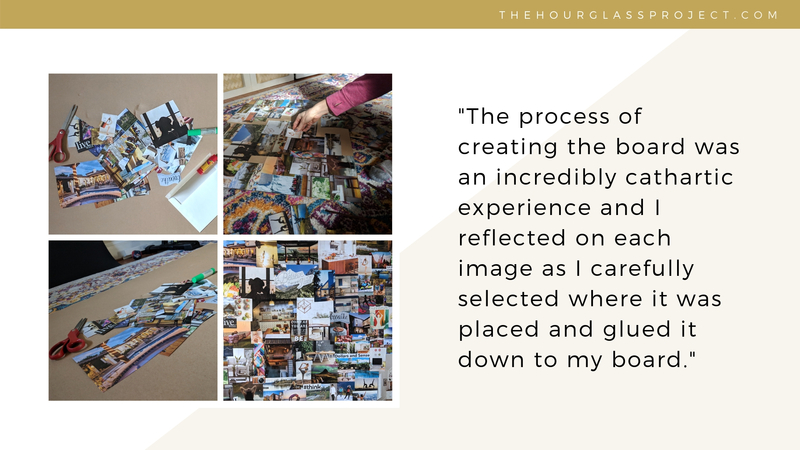 The process of creating the board was an incredibly cathartic experience and I reflected on each image as I carefully selected where it was placed and glued it down to my board. When it was done, I felt a sense of pride and excitement. It was beautiful and a true vision of what I’d like my future to look like. Completing this project taught me two very valuable lessons that I’d like to share. First, creating a vision board is not necessarily a “sit down in an hour and pull together pictures” kind of activity. It took me several months of organically pulling out pictures that spoke to me from a variety of magazines and catalogs. I was not limited from where I pulled the images from or in how many hours it took me to complete this project, which allowed for a more honest reflection of my vision. I highly recommend this approach for a more authentic outcome. 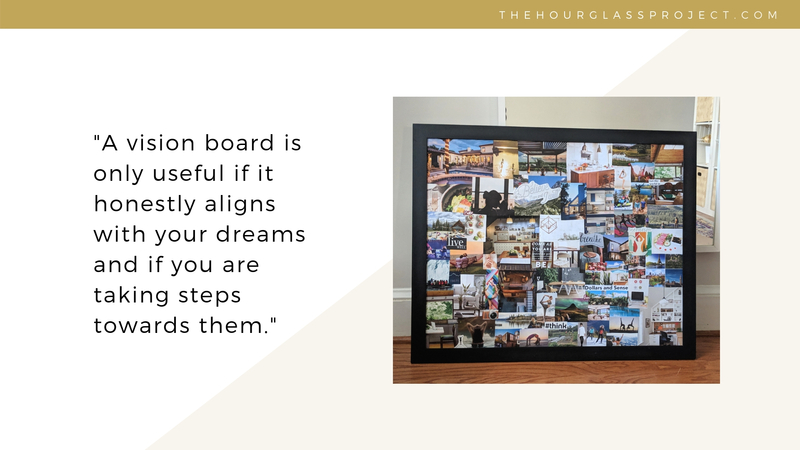 Second, whether or not you believe in the law of attraction, a vision board is an incredibly useful tool in reaching your goals. 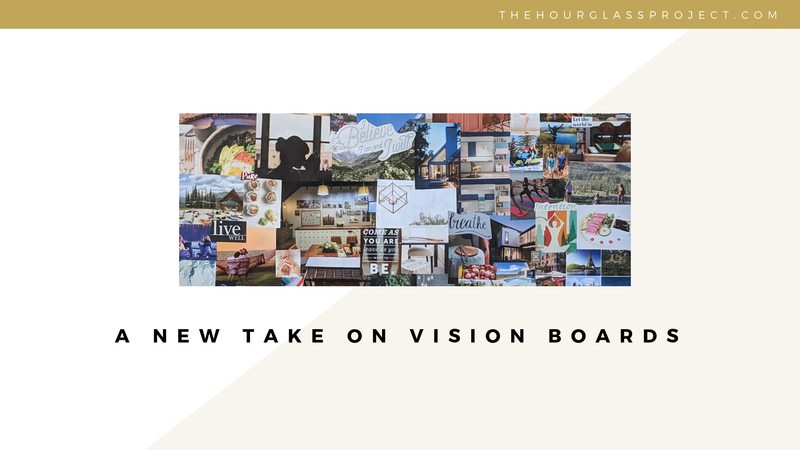 As I reflected back onto the completed board I asked myself the very pointed question – am I taking steps every day to try to make this vision a reality? Does it align with who I am and who I want to be? Or is it simply who I think others would like me to be? It doesn’t matter how many images of yogis and healthy food that I put on my vision board – if I never take action in that direction and I sit on my couch binging on Netflix and Cheetos, the vision is never going to become a reality. And if the vision is not truly mine, but a vision of how to impress others or gain their approval, that also will not culminate an authentic life. A vision board is only useful if it honestly aligns with your dreams and if you are taking steps towards them. The value comes in using it as a prompt and a reminder to take action each and everyday towards those goals. I reflected honestly on each picture and sometimes I answered yes, that I was making positive progress towards those goals, but other times I had to say no. In which case, I had to ask the followup question of whether or not that was truly my vision and something I wanted in my life, or if I just liked the idea of it. If it was indeed something I wanted for my future, I glued the image down and came up with action steps to work towards making it a reality. I do believe in the law of attraction, but only to the degree in which your positive attracting mindset is also aligned with action steps to get you there. I’m not a believer that sitting on the couch dreaming of yourself behind the wheel of a Ferrari will manifest itself into someone knocking on your door and handing you a set of keys for one. We have to be taking steps towards our goals – and now I have a beautiful visual reminder of my goals that will help give me a boost of confidence and excitement when I start feeling overwhelmed or questioning whether the hard work is worth it. Although this activity may feel elementary, it was a wonderful process which taught me incredible lessons and gave me a vessel for self reflection and goal setting. I highly encourage you to take some time to go through the same process. 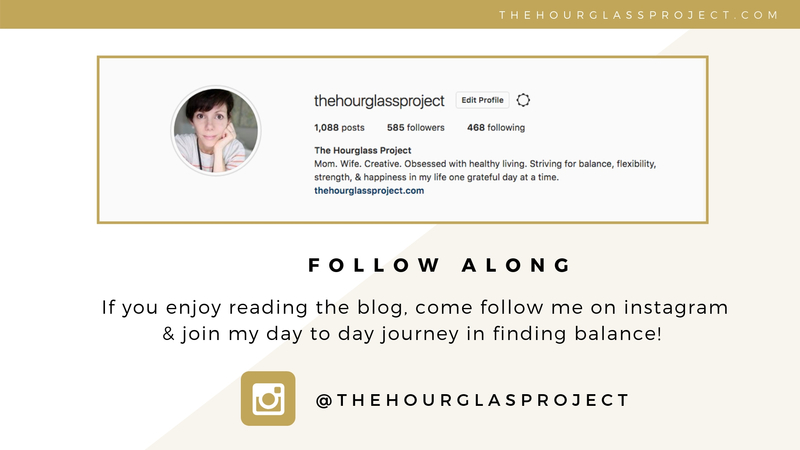 I’d love you to share your finished boards on the Facebook page or to comment below, sharing what you have learned about yourself from engaging in the process. As always, thanks for reading! Sleep – Tips & Tricks for a Better Night!